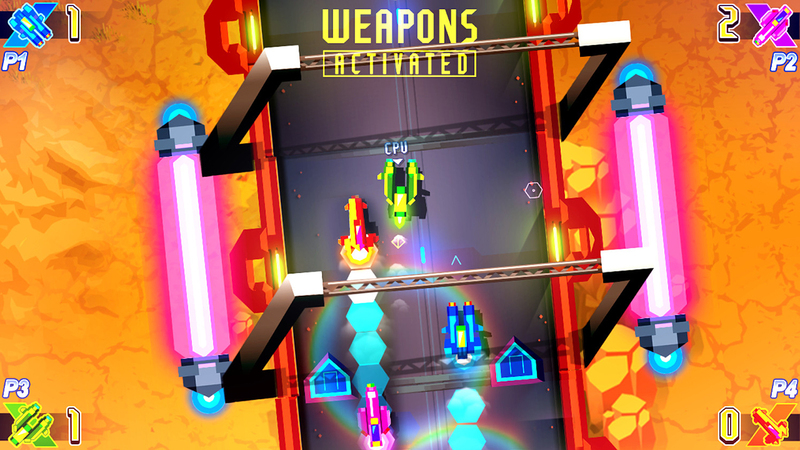 Do you love top-down racing games, shoot-em-ups, and 80s aesthetics? If so, The Next Penelope might just be the perfect game for you. The game’s story combines the classical Greek myth of the Odyssey with sci-fi elements of interplanetary travel, lasers, and robots. You play as Penelope, who must search the stars for her long-absent husband, Odysseus. After the first world, you can take on the sundry planets in any order you desire, although each is labeled with a difficulty level (ranging from “Easy” to “Impossible”) to suggest the ideal order. After playing through just a few planets, it becomes clear that this game has a lot of variety. 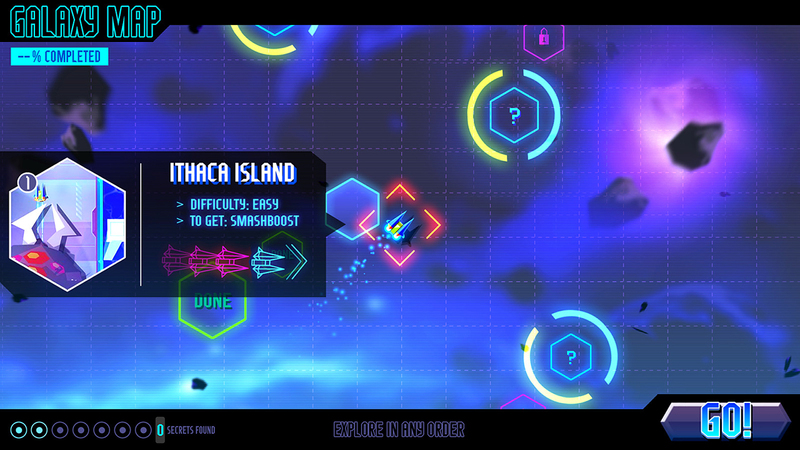 Each planet has 3 missions: generally, an introduction to a new weapon, a race, and a boss fight. And upon completing the planet, you unlock the weapon for use in other missions. The gameplay starts out simple, but becomes quite complex as you progress throughout the game. Some of the later levels become quite difficult as you have to devise the perfect strategy for the right time to use each power. 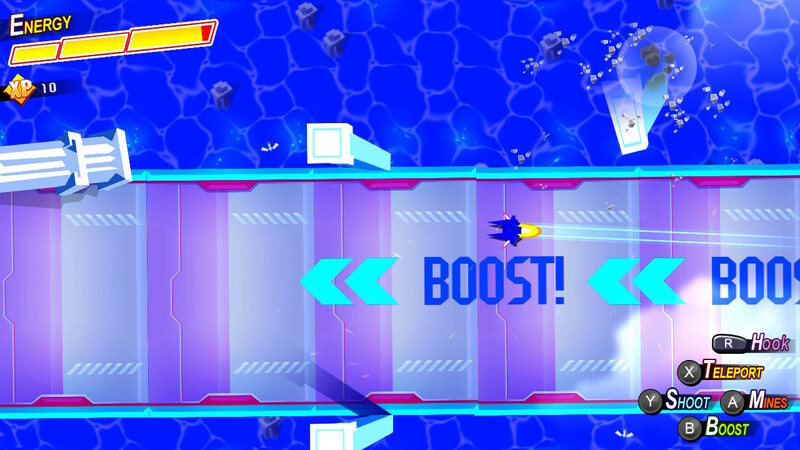 See, boosting and lasers make you more powerful than any of the other racers, but each power uses up some of your health/energy bar, meaning you have to use them sparingly. The game demands your full concentration as you tackle its more difficult challenges again and again. If you’re still having a hard time, there is a system available to further improve Penelope. Each challenge gives you experience points, which can be allocated to improve speed, handling, perception, and a few others. All of these improvements can be unlocked fairly quickly if you’re willing to go back and grind previous bosses, and it makes some of the more difficult races a lot easier to win. Once you’ve beat all the main planets, it’s on to the final stage. No spoilers here, but the ending was unexpected in the best possible way. It was also quite difficult, but finally taking down the last boss was exhilarating. And surprisingly, the game only continues to get better even after the credits roll. 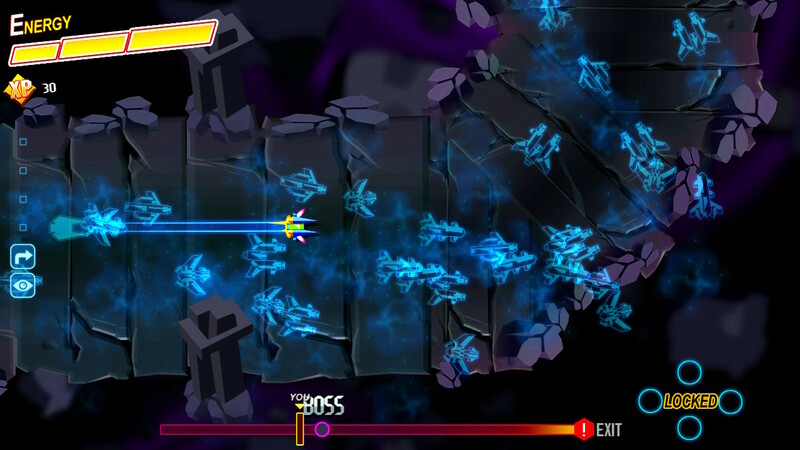 Now that every weapon is unlocked, each of the four post-game Time Trials can make use of Penelope’s entire arsenal, with hectic stages combining elements from each planet. The two Bonus Stages are score-attack minigames that would have benefited from online leaderboards, but are still fun to play solo, trying to beat your best score. However, a few post-game stages can’t really distract from the fact that the game itself is quite short. It took me about 4 hours to complete, and that was with many failures and retries. But what is here is quite good. 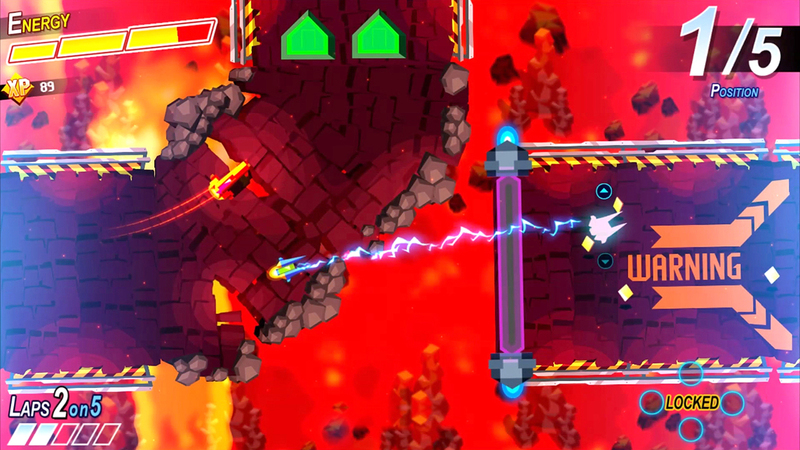 The neon graphics are very stylish and appealing, and the electronic soundtrack really adds to the game’s aesthetic. And the game itself perfectly rides the line between frustrating and fun. I was challenged, but never wanted to throw my controller. What makes this all the more impressive is that the game is the work of just one person. The game also has a 4-player mode that’s worth playing around with a bit, but it doesn’t add a whole lot to the package. 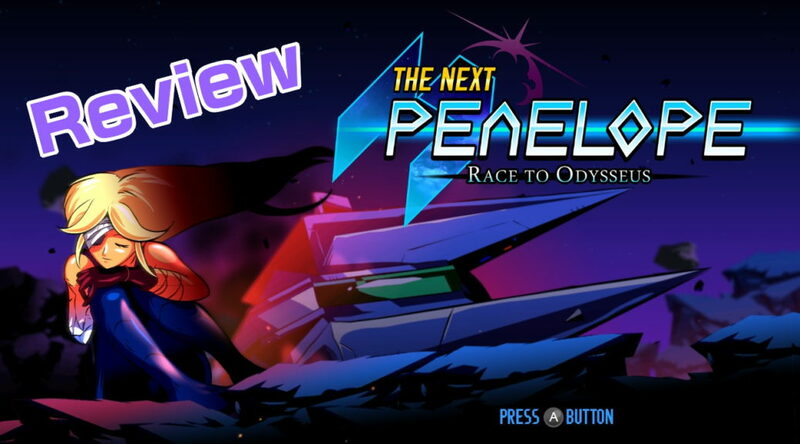 The Next Penelope is a colorful, polished gem of a game. The high-speed racing and arsenal of weaponry makes for intense and challenging play, and the music and presentation give the whole experience a uniquely appealing vibe. Don’t expect countless hours of play, but this short indie experience is enjoyable from start to finish. Soup Verdict: An impressively unique soup that will leave you wanting more! A download code was provided for this review.